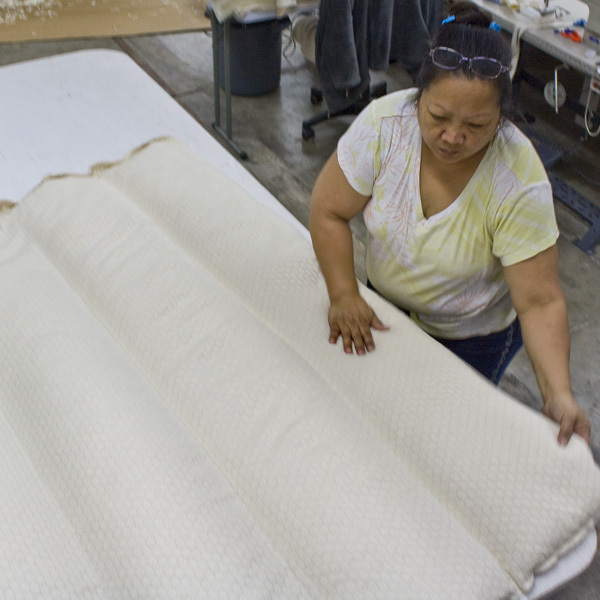 The latest addition to the CozyPure line of handcrafted bedding is the LaNoodle COZYTOP Mattress Topper. It offers a new level of comfort. It is also a great gift for newlyweds, dads and graduates. It is a perfect addition to any bedroom. Our LaNoodle COZYTOP Mattress Topper is designed with two different organic fabrics: lightweight knit on one side and a thicker matelasse knit on the other side, offering two different options for comfort. The choice is yours. Cozy-up for a great night’s sleep with the New LaNoodle CozyTop Latex Topper. 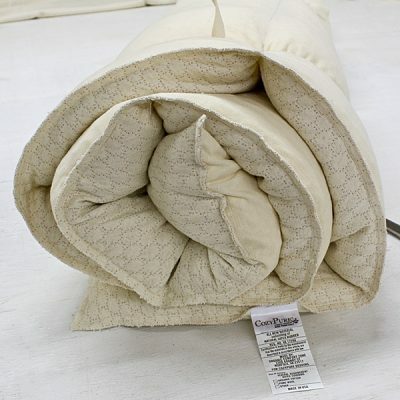 Mold, mildew and dust mite resistant, filled with thousands of small natural latex “noodles” which gently caress you and adjust to the contours of your body to offer you softness while still providing support. Body impressions and indentations are simply massaged away and the channeled panels make this topper easy to maintain. 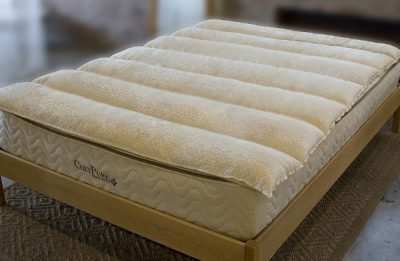 A very unique removable mattress topper made exclusively by CozyPure® – Organic Comfort Zone.